Late summer and early fall may be beautiful, but for sports car enthusiasts it’s a sad time, too. The shortening days remind us that it will soon be time to put away our fair-weather roadsters and take out our winter appliances. What if we told you that you don’t have to give up your toys? Instead, now is the time to start building yourself a more suitable winter vehicle–and, no, we’re not talking about a Jeep, some kind of 4x4 or even a Subaru. 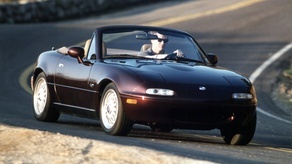 The correct answer, as usual, is simple: a Miata. Our inspiration for this build can be found on the cover of our August 2016 issue: Paco Motorsports’s lifted Miata. That build featured their radical, all-inclusive Offroadster package, which goes for $5429 plus the monster truck tires and wheels. 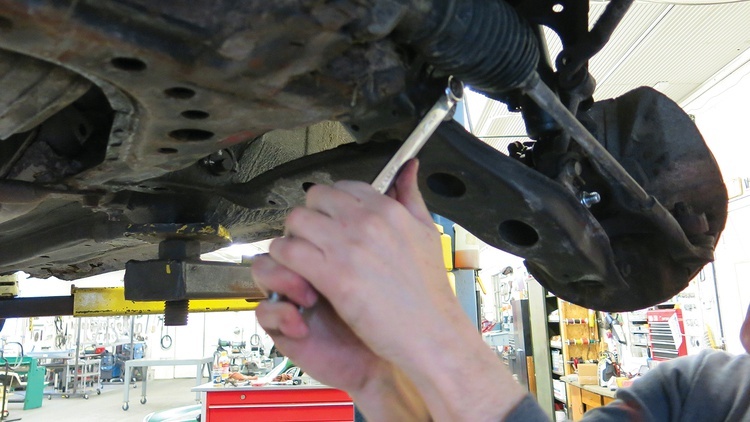 However, Paco also offers a simpler 3-inch Miata lift kit for less than $200. We thought that setup looked like just the ticket for snowy winters. First, we needed a donor car. 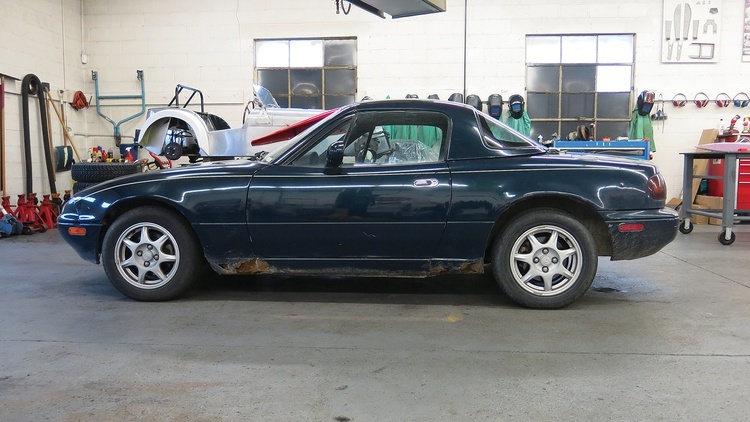 Easy: We had recently picked up a rusty 1994 Miata for $1200. 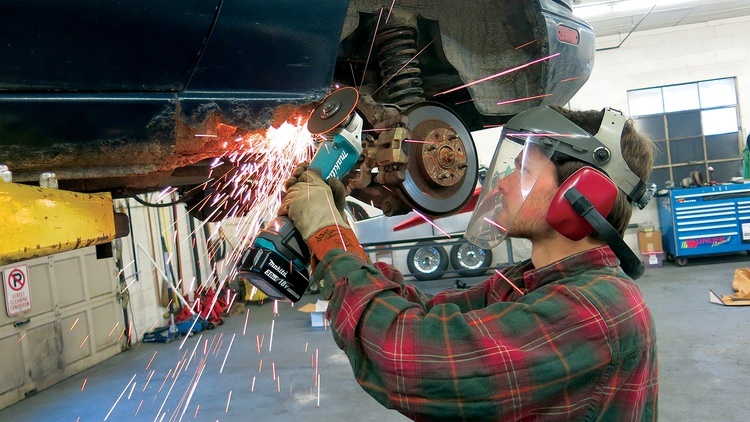 Our original plan was to grab its hardtop and Torsen differential before parting out the carcass, but now that chassis would get a second lease on life. The installation took about 4 hours on a lift, although using jack stands probably wouldn’t have added any time to the project. One thing that sure would’ve made things go more quickly? Starting with a rust-free car. 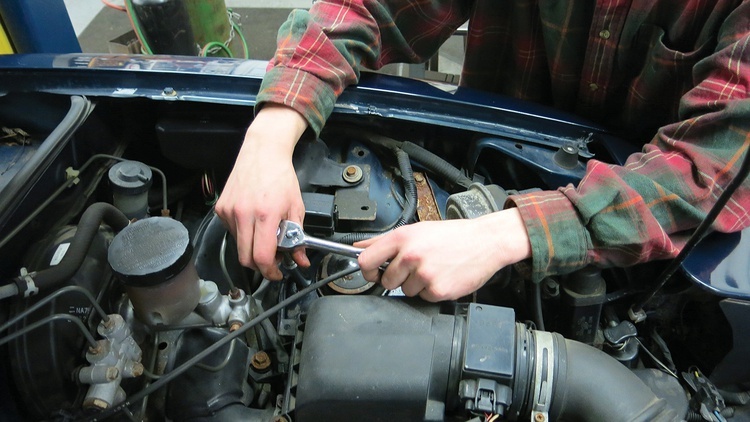 We spent 2½ hours fighting the rusty fasteners on our in-Michigan-since-new Miata. We drove our lifted Miata through the 2016-’17 winter and found it to be a dream. It can easily handle 12 inches of fresh snow, while the raised ride height makes entry and egress much easier. Ironically, the Torsen diff makes the car a little more squirmy on snow-covered corners as the inside wheel will often break traction, but when the car is in the deep stuff, the uprated differential keeps things moving. Want to build your own? Here’s how. Paco Motorsports offers a bolt-on suspension kit that will turn those frozen dreams into winter realities. 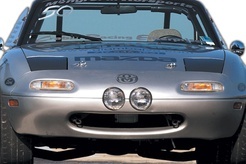 The kit is available from its manufacturer or Flyin’ Miata. Either way, you’ll spend less than $200. 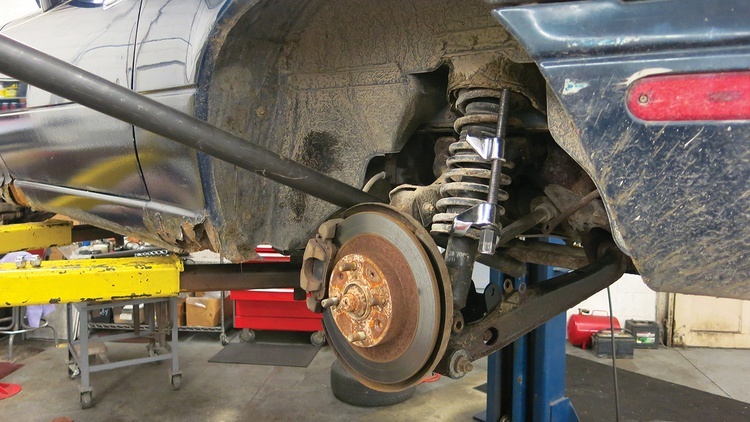 We started the project at the front, pulling our car’s shocks and springs since the dampers were junk. 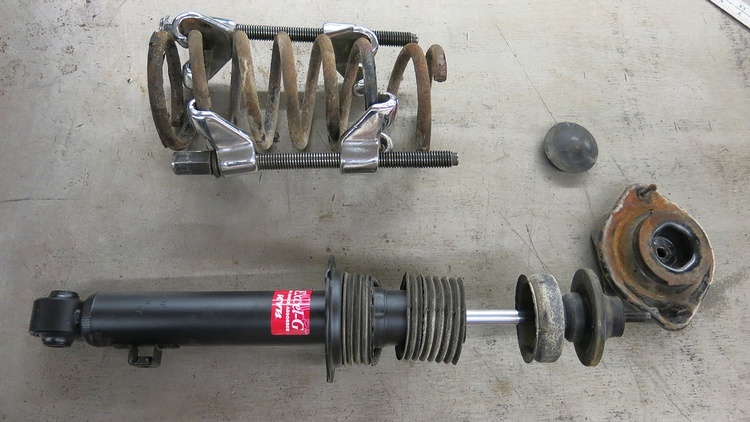 Since this is a budget winter car, we ordered some KYB replacement shocks from Rock Auto for about $48 each and installed them. 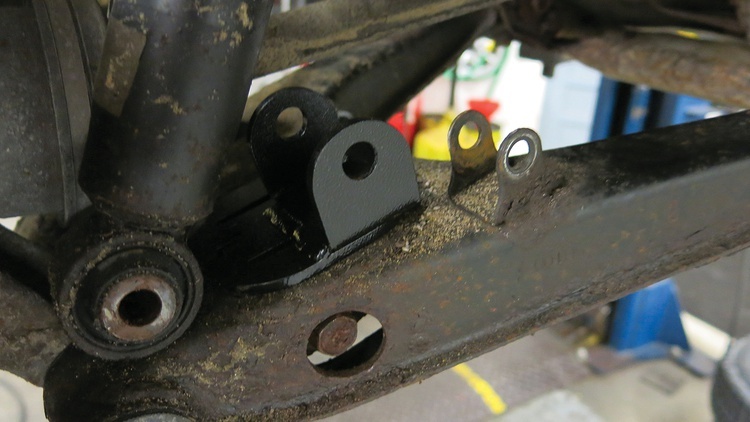 The kit’s front spacer simply relocates the lower shock mount, adding in 3 inches of ride height. 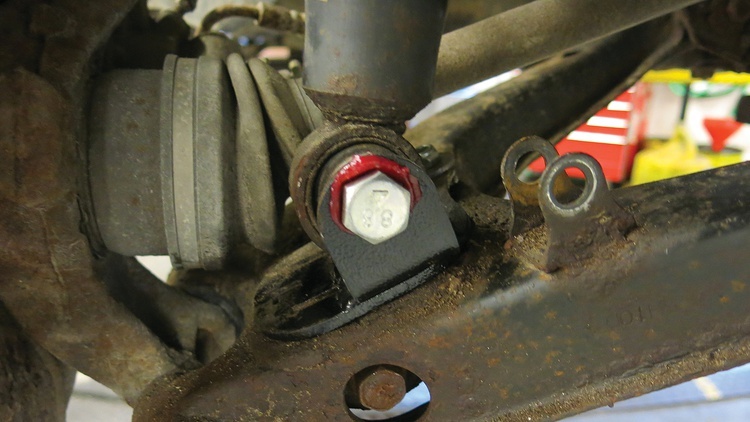 No matter how hard we tried to lower the rear A-arms, we couldn’t pull them down far enough that the shock absorb- er’s bolt hole lined up with the new mount. 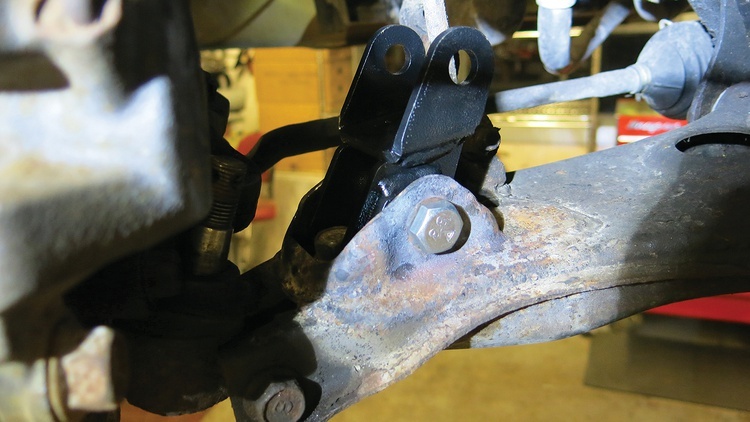 The instructions show this step on a coil-over equipped car, which clearly has less droop than the stock setup. 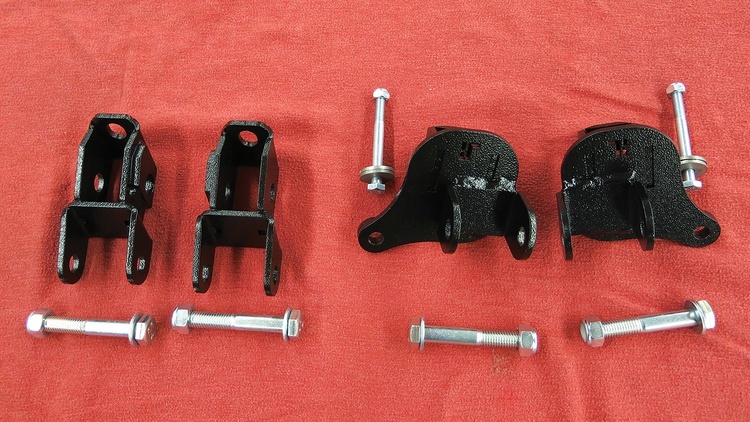 We nally solved the problem by dropping the subframe a few inches from the body, lining up the bolt holes, and then putting everything back together. After that minor circus, we had the rear ready. 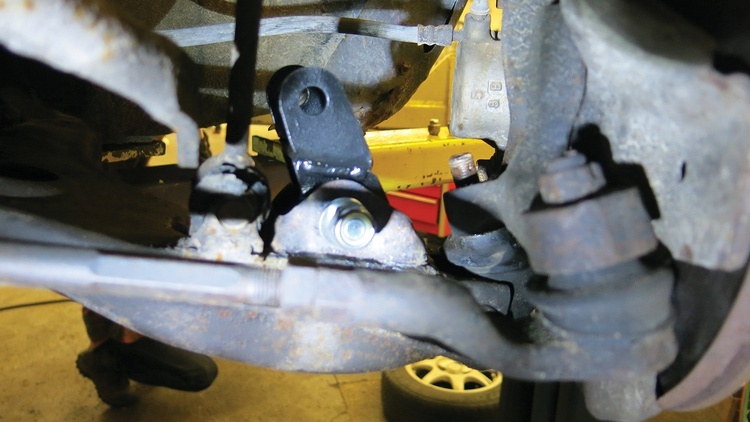 Knowing that we’d have to realign our Miata, we soaked all of the alignment bolts with penetrating oil before working them free–never an easy job with a salt-encrusted car from the Rust Belt. We then put the car on the ground and set the alignment. We ended up with just a little bit of positive camber in the front because the alignment bolts wouldn’t go any farther. Lifted cars look dumb on stock size tires, so we went from our factory wheels and 195/60R14 tires (28 pounds total, 22.25 inches tall) to some E30-chassis BMW steelies wearing 205/75R14 tires (40 pounds total, 26.125 inches tall). 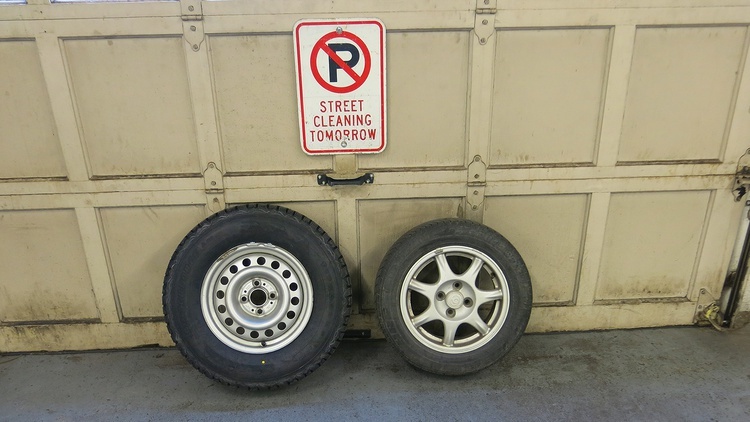 The Firestone Winterforce rubber came from our friends at the Tire Rack and go for about $60 each. We’re glad to have the extra torque offered by the 1.8-liter engine, as the change in weight and gear ratio is noticeable. Of course, we also introduced a little speedometer error as well, but the look and ride quality are worth it. 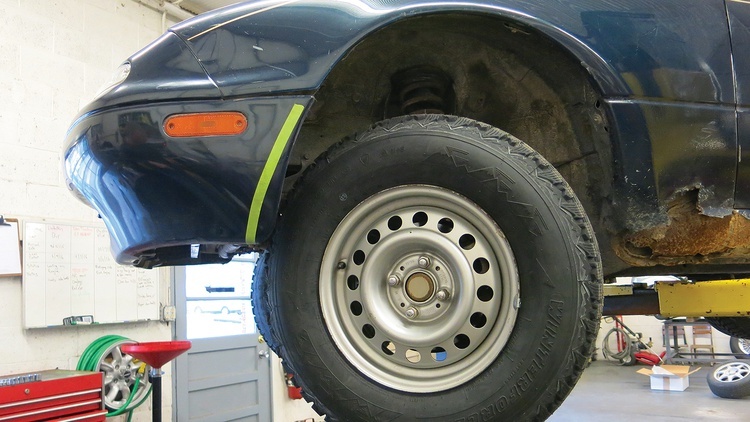 We went with a little more tire than Paco recommends, so we needed to trim the front and rear fenders a tad. Since this car’s body is junk, we did the job quickly, just cutting the front bumper with a set of aviation snips along the green line. To clearance the rear doglegs, we just trimmed them with a grinder. 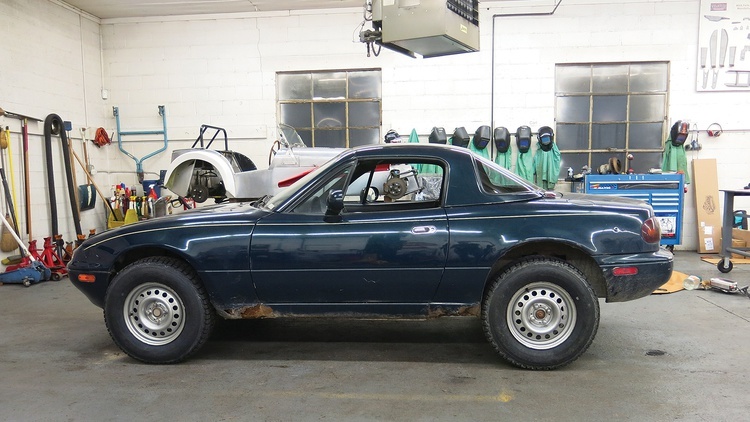 Before and after shots show the difference: Between the Paco kit and the oversized tires, we picked up about 5 inches of lift and brought new life to a dying Miata. Did this to my 99 over the same period you guys did. Fortunately this winter has been a lot less of the deep stuff than usual, so I drove the 02 on a set of slightly taller-than-stock studded snows. Never would have thought of dropping the subframe like you guys did, that's pretty clever. I had a rather difficult time installing mine, on both ends, if I'm honest. What really should have been a two hour job turned into about 12 hours or so. When you have to grab the BFH and your long pry bar, something clearly wasn't tested on stock suspended cars. So, if you're gonna go play in the deep stuff or off road in your Miata, just be prepared for a rough day installing this if you don't have a coilover setup to begin with. 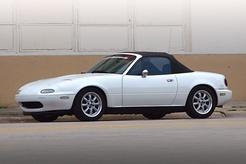 Now... that said, this kit does make a Miata rather capable. Not only was dealing with foot deep snow relatively easy, it was borderline fun, being able to drive in stuff that was giving trucks a bit of a hard time haha. Even on stock tires, I had about as much clearance as a 90's era Jeep Wrangler, so that's kinda a baseline for capability and limitations, if one were to leave the Jeep in 2wd. Best part was climbing the face of the closest mountain, up a fairly steep trail that switchbacks about 2000 (maybe 3000?) feet in elevation over the course of a couple miles. Should have saw the look on the face of the guy coming down in the Polaris! While my Miata isn't lifted, nor has the limited slip dif, in the many years of driving it in all conditions including 5"-6" of snow and plowed roads and up into the mountains for a day of skiing. It has never had an issue with slick surfaces. Even drove it nearly 200 miles in a blizzard from Ballard/Seattle to Portland at freeway speeds passing many 4-wd's off in the ditch. In the NW winter I run performance AW tires to good effect. Everyone thinks that MX-5's must be dangerous in the winter conditions when actually they are quite capable and a lot of fun. I'm pretty sure the cone does, too. If it makes you feel any better, the handling is a bit odd. I'd say if it's your only car, and you need the clearance, go for it, especially if you have coilovers and it's an easy swap. If you can swing a second, taller car? Just get good snow tires and call it a day.